Why our currency is referred to as “ZWL”. 1. Yesterday when I saw Delta’s donation towards Cyclone Idai relief I observed that the amount was denominated as “ZWL”. I wondered what that meant because I thought our currency was designated as RTGS dollar. 2. Apparently, ZWL is Zimbabwe’s ISO currency Code. An ISO currency code is assigned by the International Organization for Standardization. So the USD for the US Dollar, GBP for Britain’s currency. Our original ISO currency code was ZWD (Zimbabwe Dollar). To understand the ZWL, the ZWD must be taken as the “first dollar”. 3. In 2006, with hyperinflation setting in, the government decided to redenominate the currency. At that point, a new ISO currency code was assigned for the redenominated dollar. This code was ZWN. This was the “second dollar”. 4. As most know things didn’t go according to plan. The redenomination didn’t work. As things got worse the Zimbabwe Dollar was redenominated again in 2008 (remember when RBZ was slashing zeroes?) At that point, the ISO currency code changed to ZWR. That was the “third dollar”. 5. But as most know, things only got worse. The zeroes couldn’t be silenced & they reappeared at a ferocious rate. Early 2009, there was another redenomination with the new zeroes getting the chop. At that point, the ISO currency code changed to ZWL. This was the “fourth dollar”. 6. The market had already abandoned the Zimbabwe Dollar & eventually, the government accepted reality & adopted a multicurrency regime. 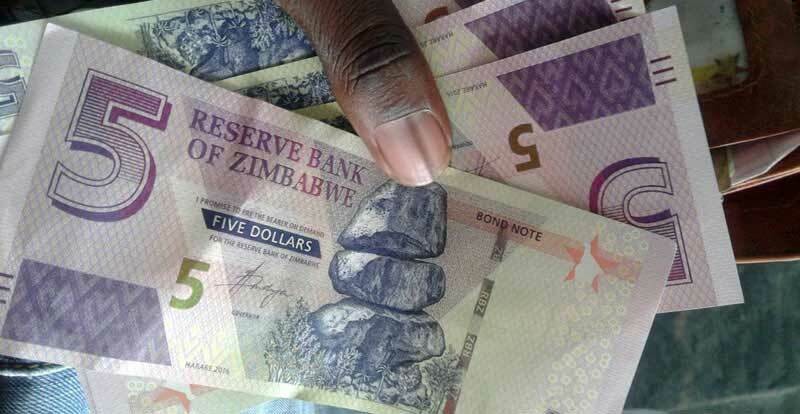 2015 the government announced that the demonetisation of the Zimbabwe Dollar, which brought an official end to the local currency. 7. Despite demonetisation & the new RTGS dollar in 2019, the ISO currency code has not changed from the one used for the 4th dollar after the last demonetisation in 2009. The introduction of the RTGS dollar has not caused a reassignment of the ISO currency code. It’s still ZWL. 8. It looks like either the ISO currency code survived demonetisation of the ZWL or the ZWL has resurrected. Apparently on the international scene the 1ZWL is currently 0.003102 USD – or 1 USD = ZWL 322.3 ( check XE.com as of today) – so literally it got me thinking is this the actual value of our currency? whats the exchange rate determinant? Are there any people economics experts to school me here? We all know the government fixed the exchange rate to 1 USD = 0.25 ZWL, why is it that our SAAP accounting systems are using the 0.003102 USD rate per 1ZWL.